The basic purpose of turbine oils is cooling and lubrication of bearings of various turbo units that include gas and steam turbines, hydraulic turbines, turbo-compressor machines, etc. In addition, this oil can be used in turbine control systems as operating fluid. It is also known to be used in hydraulic and circulation systems of industrial machinery. Working conditions put forward additional requirements to turbine oil, which include: good stability against oxidation, no sediment with prolonged use, absence of formation of stable emulsion with water, etc. In order to ensure such quality, turbine oil must be produced from high-quality oil with the use of deep purification methods. It also requires special additives that improve water separation, anti-oxidation and anti-corrosion properties of turbine oil. Sludge and moisture can be formed in turbine oil during usage. This contributes to electrolytic erosion of bearings and reduces the reliability of turbo-generators shaft sealing systems and control systems. At the same time bearing lining and thrust bushing wear out. Turbine oil properties deteriorate, and its lifespan reduces. According to statistics, 20 to 25% of power equipment damage is caused by a decrease in turbine oil quality and various disturbances in oil supply systems. Absence of dissolved sludge, solids and water. GlobeCore offers a wide range of equipment designed for purification and recovery of all types of turbine oils. 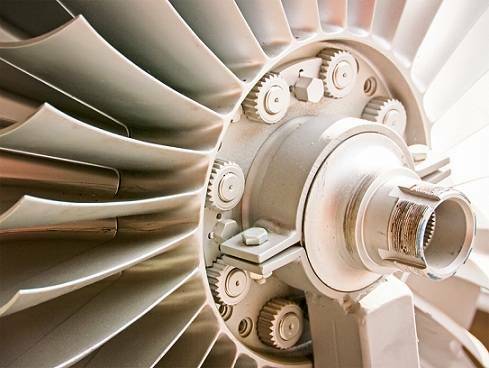 Timely sampling and treatment of turbine oils using CMM-T-type plants allows restoring their physical and chemical properties to the normalized values and improving their durability. It saves funds for the purchase of fresh oil and recycling of waste oil. It increases the reliability of turbine equipment and the stability of electricity supply both to ordinary consumers, and to facilities of national importance.